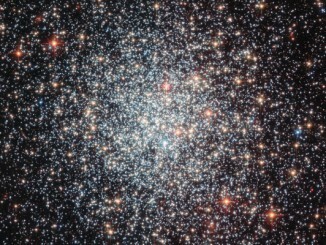 This NASA/ESA Hubble Space Telescope image shows the globular cluster NGC 1854, a gathering of white and blue stars in the southern constellation of Dorado. NGC 1854 is located about 135,000 light-years away, in the Large Magellanic Cloud (LMC), one of our closest cosmic neighbours and a satellite galaxy of the Milky Way. 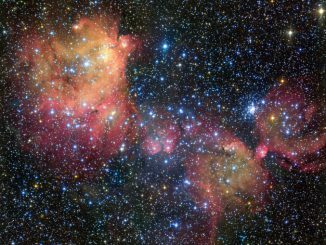 An unprecedented view from the world’s most advanced adaptive optics system on the Gemini South telescope in Chile probes a swarm of young and forming stars that appear to have been triggered, or shocked, into existence. 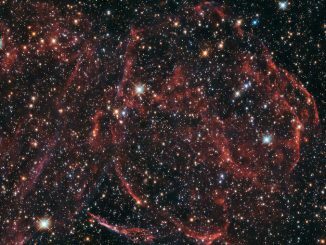 The group, known as N159W, is located some 158,000 light-years away in the Large Magellanic Cloud (LMC), a satellite to our Milky Way Galaxy. In this image from ESO’s Very Large Telescope (VLT), light from blazing blue stars energises the gas left over from the stars’ recent formation. The result is a strikingly colourful emission nebula, called LHA 120-N55, in which the stars are adorned with a mantle of glowing gas. 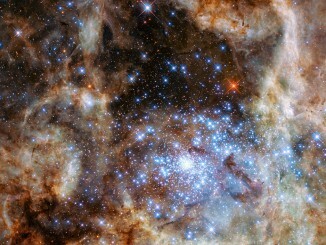 LHA 120-N55 lies within the Large Magellanic Cloud, a satellite galaxy of the Milky Way. 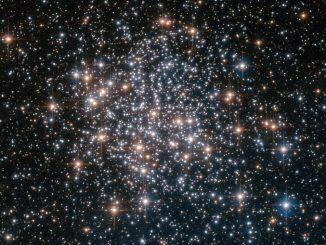 An international research team of astronomers has, for the first time, found young populations of stars within globular clusters that have apparently developed courtesy of star-forming gas flowing in from outside of the clusters themselves. 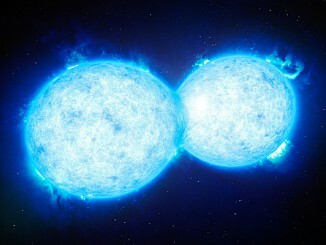 This method stands in contrast to the conventional idea of the clusters’ initial stars shedding gas as they age in order to spark future rounds of star birth. 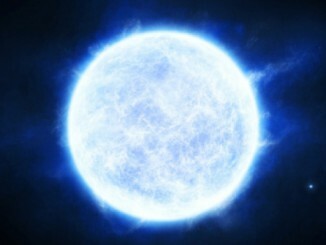 With a temperature of 250,000 °C — 45 times that at the surface of our Sun — astronomers believe that this dying star in the outskirts of the Milky Way may have peaked at 400,000 °C a thousand years ago. 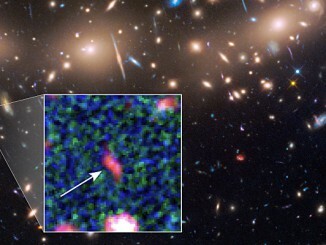 The researchers were also the first to observe an intergalactic gas cloud moving towards the Milky Way — indicating that galaxies collect fresh material from deep space, which they can use to make new stars. Researchers using NASA’s Fermi Gamma-ray Space Telescope have discovered the first gamma-ray pulsar in a galaxy other than our own. 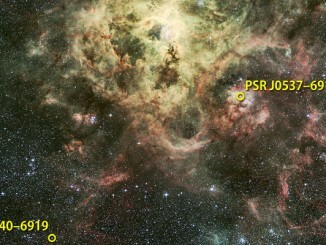 Known as PSR J0540-6919, the object sets a new record for the most luminous gamma-ray pulsar known. 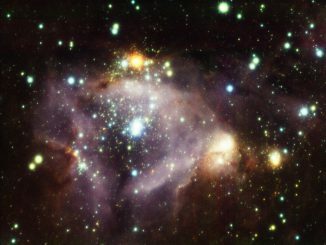 The pulsar lies in the outskirts of the Tarantula Nebula in the Large Magellanic Cloud, a small galaxy that is located 163,000 light-years away.